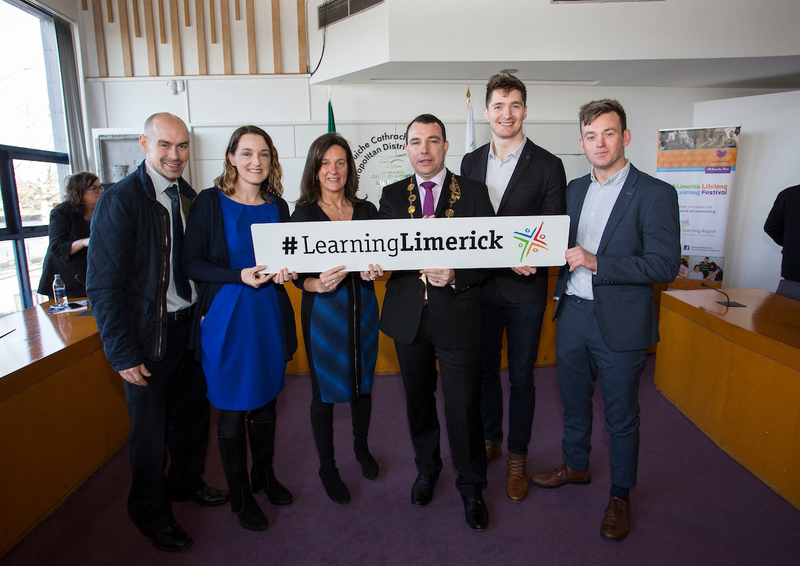 University of Limerick has signed the Learning Limerick’s Memorandum of Understanding, signaling its commitment to advancing Limerick’s progress as a Learning Region. Learning Limerick is a partnership forum to promote awareness of the importance of lifelong learning for every person, family community and workplace in Limerick, and to influence education and skills policy on a local, national and international level. TheForum also seeks to position learning at the centre of development planning in the Limerick region in all communities, sectors and settings. The Mayoral event also saw the launch of the introduction of Learning Limerick Ambassadors. The ambassadors are a diverse group of individuals, who themselves have demonstrated that learning is for people of all ages and from all areas. They have a wide variety of needs and interests. Their main role is to help reach as many people as possible and inspire them to participate in learning, through promoting the idea of lifelong learning in their own communities, workplaces and neighbourhoods. Richard Kenny, a Limerick Learning Ambassador, living in Limerick City explaining how he got involved: “It started with a basic computer class in the Southill Family Resource Centre and now I’m in UL. This really demonstrates the diversity of learning possibilities in Limerick”.